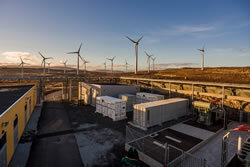 The latest step in SEV's renewable energy program is a new 12 MW wind farm located in Húsahagi, on the island of Streymoy. Since coming on line in 2014, the wind farm has increased the islands' wind share to 26 percent of total electricity production. We use AI to protect and optimize critical assets - that goes for both cyber and physical. Our predictive analytics platform lets users take massive amounts of data and, in an automated fashion, quickly build models to find meaning in it, thereby significantly improving maintenance strategies and costs. Sustaintech, short for sustainable technologies, are technologies which provide environmental and social value and help advance a better future for humanity. They leverage intelligent technologies and have a high degree of internet-integration to reduce environmental impact, and enhance efficiency and resource productivity. Being so far away from mainland Massachusetts, it made sense for Cuttyhunk Island to have an inexhaustible source of energy in the form of solar PV. 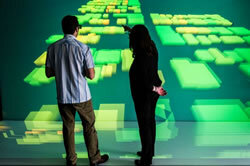 Working with partners in industry and academia, NREL delivers the scientific building blocks for new energy technologies that drive the country's economic growth. NREL's world-class researchers, facilities, tools, and analysis yield innovations that create new business opportunities and greatly reduce the risk of investment for energy companies and manufacturers. The Tile Replacement Mount provides a fast and easy way to install solar on tile roofs while protecting against water intrusion. Simply remove the tile and replace it with the Tile Replacement Mount. Works with all standard curved and flat tile roofs, and all standard rail-based racking systems. Flashed at both the deck and top levels, the mount is fully engineered to meet code requirements and industry best practices. 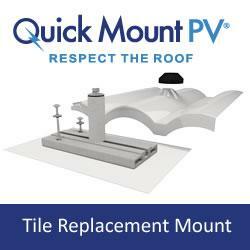 The Tile Replacement Mount features Quick Mount PV's patented Elevated Water Seal technology for optimal waterproofing. Get a free sample and see for yourself!